With all the cropped sleeve coats and jackets, these arm warmers are finding a place in the world. 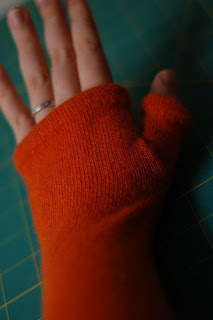 This tutorial, courtesy of Orange Juicy Journal, shows how to make some from a pair of long socks. Long socks like these ones I posted on recently!